Secretary of State Rex Tillerson on Friday called on Saudi Arabia and its allies to halt their blockade of Qatar. “There are humanitarian consequences to this blockade,” he said. The US flies sorties against ISIL and the Taliban from al-Udeid Air Base in Qatar, where 10,000 US servicemen are based. Saudi Arabia’s blockade of food deliveries across Saudi territory could affect these US personnel. 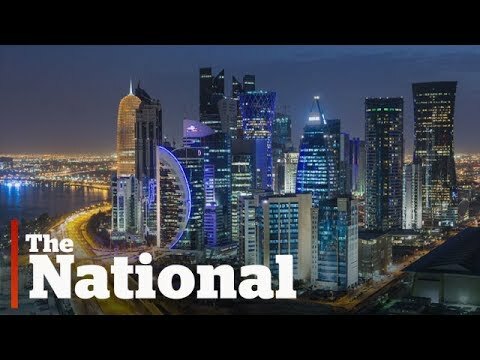 Qatar has been happy to offer the US these facilities despite the possibility of a terrorist backlash against the government. In contrast, Saudi Arabia has done almost nothing to help roll up ISIL. Then, just a a little while later, Tillerson’s boss Donald J. Trump said at a press briefing, “The nation of Qatar unfortunately has historically been a funder of terrorism at a very high level . . , So we had a decision to make, do we take the easy road or do we finally take a hard but necessary action. We have to stop the funding of terrorism. I decided … the time had come to call on Qatar to end its funding.” Trump went on to claim that he had helped plan out the anti-Qatar smear campaign with his Saudi hosts when he was in Riyadh recently. His senior staff in contrast maintained that Qatar never came up. 1. The US has two foreign policies, that of the former Exxon-Mobil CEO, an old Middle East hand, and that of a Brooklyn real estate shyster and foreign policy neophyte. 2. Fighting ISIL is not in fact a top priority for Trump. 3. There is no particular reason for Qatar to continue offering a military base to a foreign superpower showing extreme hostility to it. Qatar does not in fact fund terrorism as we ordinarily understand the word. Trump is probably alleging that the small peninsular power funds the Muslim Brotherhood, which is not generally seen as a terrorist group (it gave up violence in 1972) except by the Egyptian government and by Saudi Arabia. Qatar does also fund some of the rebel groups in northwest Syria, but in that endeavor it has been on the same page as the US CIA, at least until recently. Is Trump getting pressure from the Russians, as well? Moscow is trying to roll up the Syrian rebels and cannot be unhappy with the prospect of a forced Qatari retrenchment.